Hi guys! Did you have a good weekend? Our weekend was fast-paced as usual. I’m ready for Thanksgiving. Greyson and Luke are both off for a few days. Getting out of the day-to-day grind seems nice. Less schedules, routines and more just being together. A funny note on just being together. Luke loves to make a big breakfast on the weekends (pretty much anything is fair game – breakfast tacos, sandwiches, omelettes, pancakes, etc.). Greyson and I both love to eat it but we definitely are not big into helping prepare it. So, I decided a few weeks ago that we were going to change that. We are going to squeeze in some family time during breakfast. My thought on it was that we could focus on each other and just have fun in the kitchen AND teach Greyson how to cook. So, if you think our little family is picture-perfect – think again. On Saturday morning, Greyson was upset (like almost to fit throwing) that he had to help with breakfast and crack a egg. He was told that he had to help or he wasn’t going to eat a big breakfast. He ended up with cereal that morning. Sunday rolls around and we try the same thing. It worked a bit better on Sunday but definitely wasn’t just the easy, fun morning that I had pictured. That’s life, right?! I have no idea why I went on that tangent. It was just on my mind. But, you know what else is on my mind? Christmas! 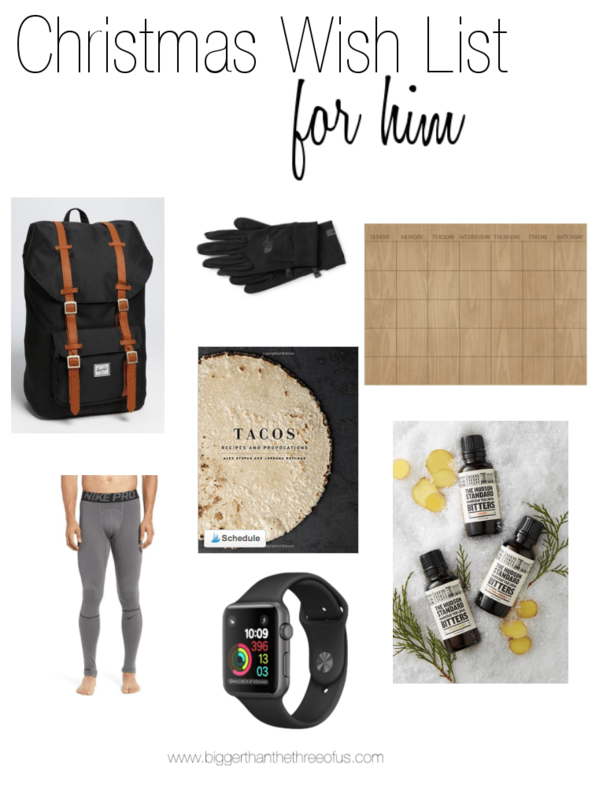 I’m rounding up a few of my favorite ideas for that special someone in your life. Some of these we own and other’s are just cute gift ideas. Hopefully, you’ll find something that you love as well. I’m chuckling to myself over these gift guides because Luke and I decided to not exchange this year. Both of us would rather gift each other an experience (or trip) so that’s what we are doing. 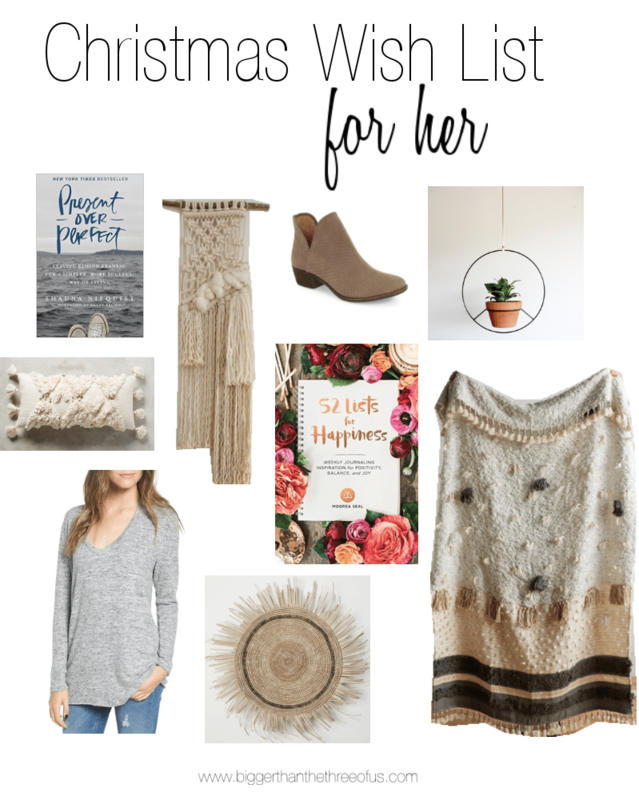 BUT, I’m a list maker at heart so I always have some gift ideas. I couldn’t help put together a few things that I find super cool because I thought you all would as well!